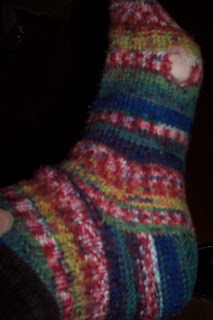 Ewe Gotta Knit: For a new sole to enter this world, a sole must leave it. For a new sole to enter this world, a sole must leave it. That's what an old lady I knew when I was little always said. One sole leaving, another sole born! 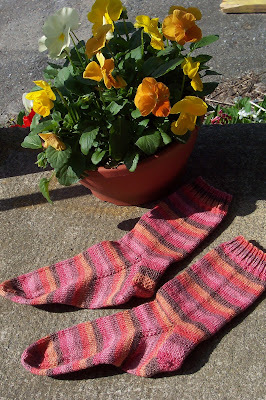 The new socks are lovely and so you! Yes, green Broadripples in that kind of yarn would be very nice.